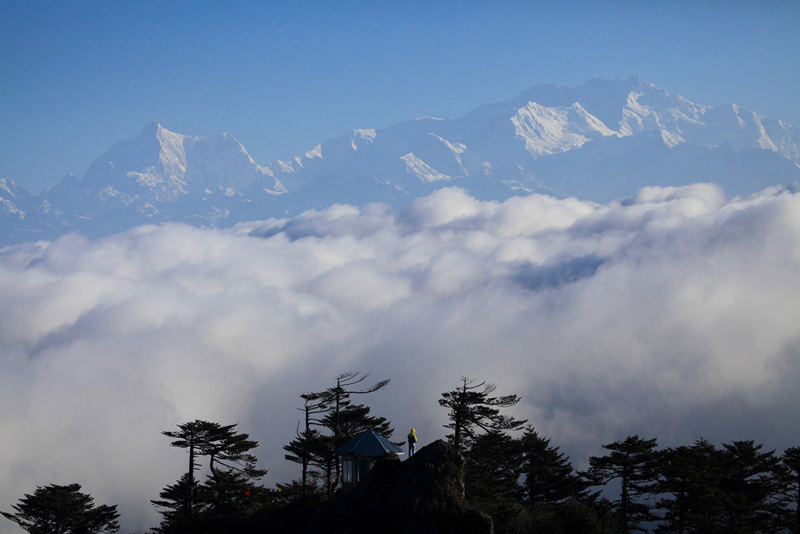 A quaint little hamlet between Maneybhanjan and Sandakphu, Tonglu derives its name from Tonglu peak 3036 meters belonging to the Singalila Ridge in Darjeeling district of West Bengal. Tonglu is a small settlement within the Singalila National Park located close to the Indo-Nepal border. It is basically a halt for the trekkers traveling to Sandakphu through Manebhanjan. Tonglu’s ethereal atmosphere mixed with its solitude is a boon to the trekkers and also to individuals who love to spend some time in isolation far from the daily busy lives. It is an ideal retreat to relax and unwind.